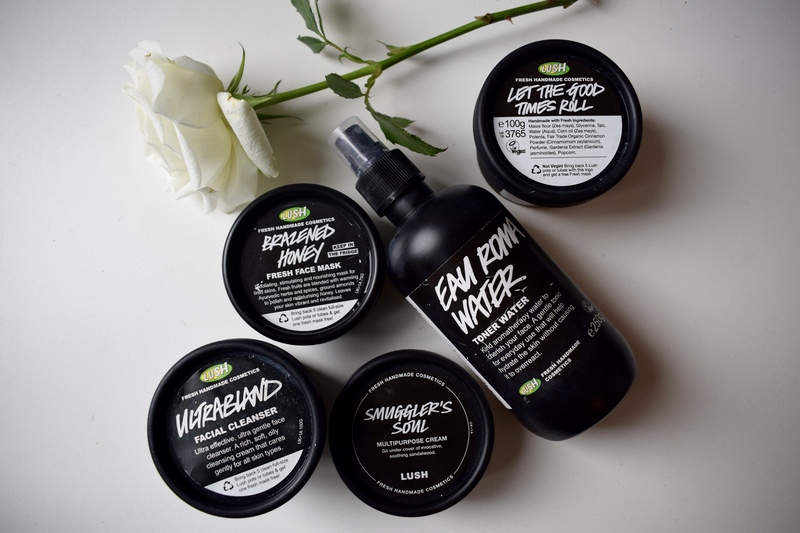 I thought I would do an updated version of my skincare routine featuring all my fav cruelty free Lush products. I definitely recommend going into your local Lush shop and getting a skincare consultation if you are wanting to try some new products. Someone in the know can help find what’s right for you! 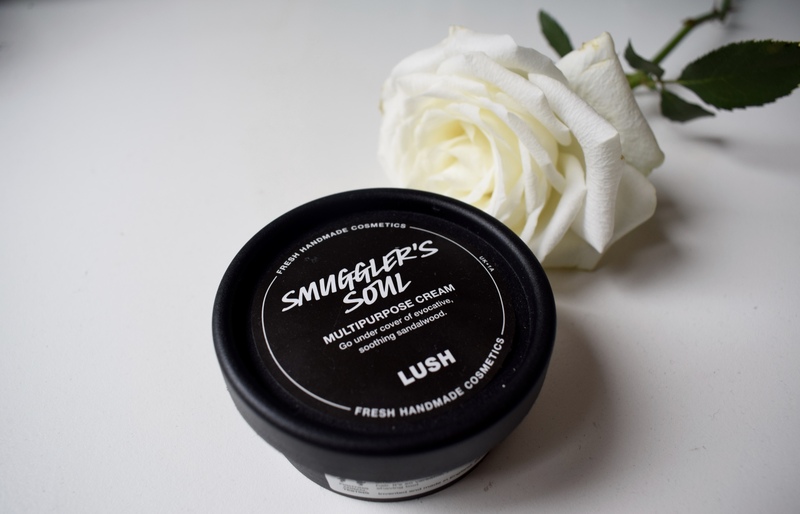 This is one of Lush’s fresh cleansers. 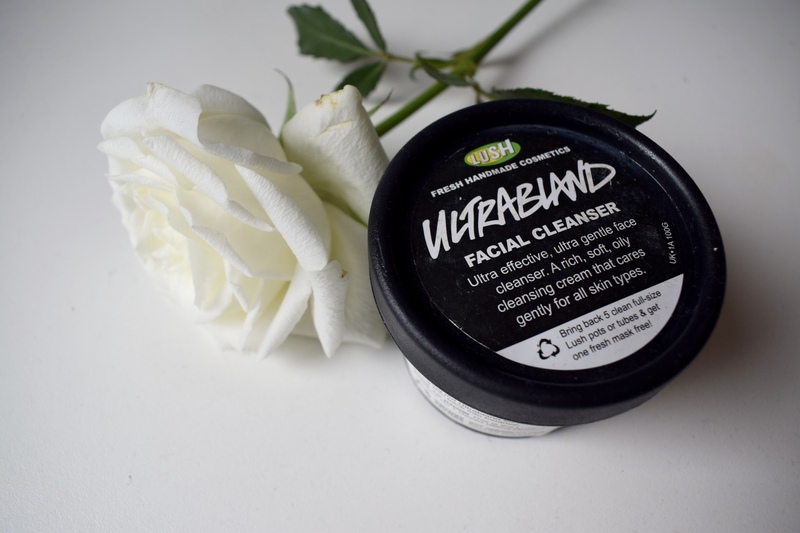 It leaves my face feeling refreshed and cleans off any make-up left on from the night before (especially if you a few glasses of red have been involved). The maize flour and polenta gently exfoliate the skin to give it that fresh and cleansed feeling. This works really well for me as I like an exfoliant to scrub away any dirt, but my skin can sometimes be sensitive. This does the job without being too rough on the skin. It also has a buttery popcorn scent and who DOESN’T want their face to smell like a tasty treat in the morning?! I use this cleanser in the evening to remove my make-up. This product has finally moved me away from how lazy I am the convenience of make-up wipes because it is JUST as quick and easy! I take a generous amount and smother it over dry skin and it melts all my make-up together. I then take a wet face cloth and with a few gentle wipes, my make-up is quickly and easily removed. 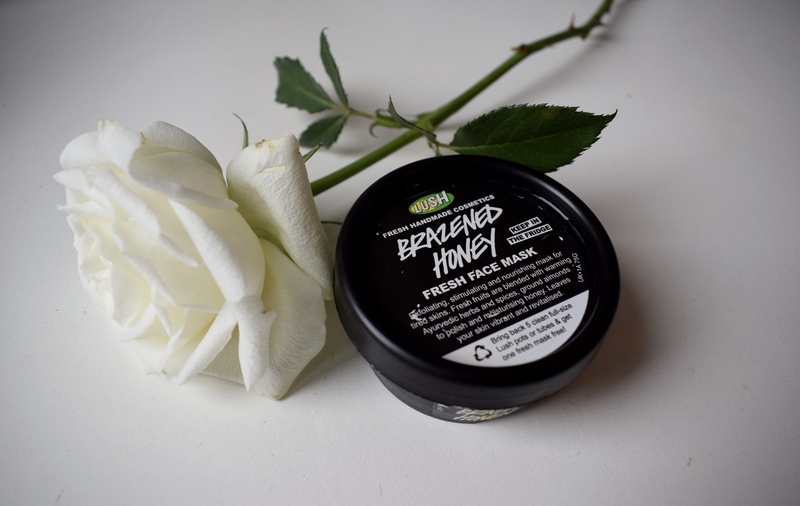 Ultrabland can be a saviour for problematic skin as the simple ingredients including almond oil, rose water, beeswax and honey can help to bring skin back into balance. If you don’t like the feeling of oils on your face afterwards, give your face an extra rinse, but I personally leave it on as I like a bit of extra moisture at night time. It took me a while to get my head around toners, but since trying this toner water in spray form, I will never go back! The winning combo of rose and lavender water makes it super gentle but also very hydrating on my skin. 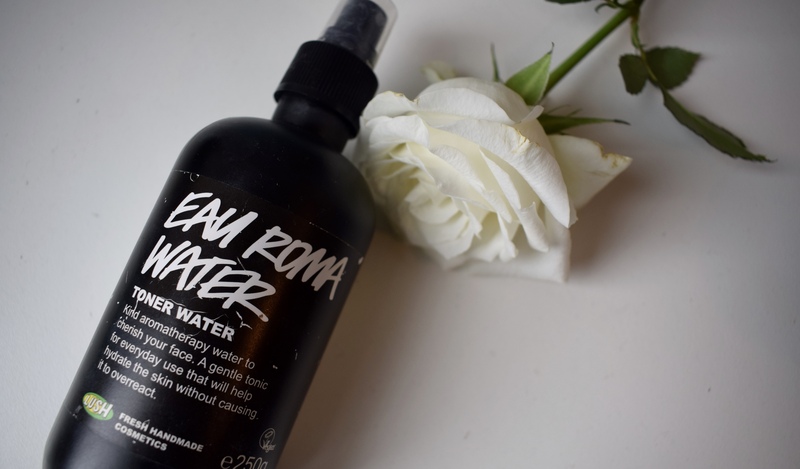 If I’m feeling half asleep first thing in the morning (not a huge fan of getting up before 8am) a spritz of the this toner water on wakes my face up and makes me feel ready to attack the day! I also love using this to dampen my Beauty Blender when I’m too sleepy to trek to the bathroom (even though it’s literally a few steps away…). I am so sad this was only a Father’s Day exclusive, but I stocked up on a couple of pots when I fell in love with it. It’s a multi-purpose cream which can be used anywhere, but personally I LOVE using it on my face as a moisturiser. If you have oilier skin or you like a lighter moisturiser this product might not work for your skin as it has a thicker consistency. I have drier skin so I usually opt for a more heavy duty moisturiser. In the summer however, I often struggle with these moisturisers as they can feel too thick and sticky on my face in the heat. This is where this product works so well. Fresh cucumber flesh and fresh watercress make it still feel super refreshing on the skin. I also know a lot of people who like using this as a night cream so they can wake up with glowing skin in the morning. This fresh mask is a new fav of mine. The first time I tried it, during the winter, I didn’t feel that it worked well with my skin. However, it is currently my go-to face mask which leaves my skin feeling fab-u-lous. That’s why it is so important not to skin type yourself too much, as your skin is always changing. From day to day it can change and particularly throughout the year, your skin can need different things to help it look and feel its best. The ground almond shells exfoliate the skin while the honey and almond oil leave the skin feeling moisturised and silky smooth. The invigorating lime juice has been perfect for my skin in these (generally) warmer months. I hope you enjoyed reading about my current skincare routine. 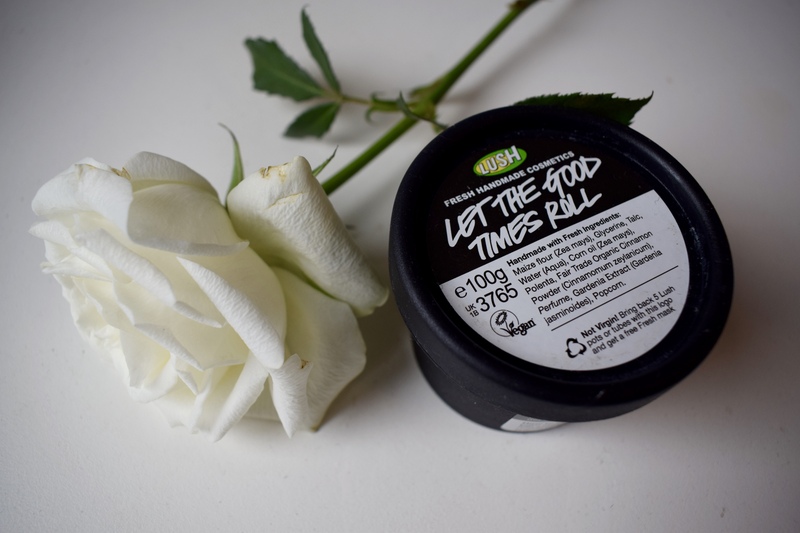 What are your favourite Lush skincare products?